A save-the-date fee of £50 is required at the time of ordering to secure your booking. The fee is non-refundable but will be deducted from your final bill. The remaining balance is payable three weeks before your event. Payments must be made by cheque or bank transfer. Account details will be provided at the time of booking. We will aim to keep the designs and finished work as close to the agreed requirements as possible. However, as flowers and foliage are natural products, an exact match of colours or specific choice of flowers cannot be guaranteed. Depending on the season and availability, those supplied might differ slightly from those discussed and agreed. Significant changes or substitutions will be discussed with the customer before the event. Flowers and other plant materials are for display purposes only and not for consumption. Beware that many plant materials are toxic if ingested. It is the responsibility of the customer to ensure that they are kept out of the reach of children and animals. For hire items, a refundable breakage deposit of £100 (or five times the hire value of the items, whichever is less), is required and should be paid by separate cheque. This will be returned to you once we have collected and checked hire items (including any damaged items) and agreed any payment with you for damages. Breakages which happen while in the care of the hirer will be charged at five times the hire price of individual items. Chips and dents are classed as breakages. The hirer is responsible for any loss or damage to goods supplied until collected by us. Any loss or damage will be reported to the hirer within 3 working days of its return and charged at normal replacement costs. Should lost stock be found subsequently and returned within 10 working days, a refund of such items will be made. Goods are delivered clean and in working order. No responsibility can be accepted for any injury or damage caused by stock hired, however caused. We will at all times do our utmost to ensure that displays that are created and installed by us are safe and will not cause injury or damage. We will not be responsible for any injury or damage caused by such displays if these have been interfered with by hirer or third party. Where candles are incorporated within the design, i.e. in candelabra, it is the customer’s responsibility to agree with the venue provider whether the venue and proposed location of the item deem it safe within their policy for the candles to be lit. If candles are included in the booking, ones of good quality will be supplied. However, no responsibility will be accepted should the provider of the venue deem it unsafe for them to be lit. Quotations are subject to availability at the time of confirmation of the booking. Less than 48 hours: No refund. Data collected through the contact form, via external websites (e.g. 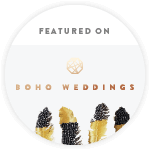 Bridebook.co.uk), from emails, during phone consultations and at face-to-face meetings are used solely to provide you with the best service for your wedding. These data will be kept safe and will not be used for any marketing purposes nor will they be passed to a third party - except by your express permission. Copyright © 2019 Beamsley Blooms.